US Defense Secretary General James Mattis has arrived in Israel for talks expected to focus on Iran and Syria as well the strategic relations between Tel Aviv and Washington. Mattis arrived in Tel Aviv Thursday afternoon from Cairo on the third leg of a week-long tour of the US allies in the Middle East. Marking the first time he has visited Israel as the Pentagon chief, Mattis was greeted by an official honor guard at army headquarters in Tel Aviv on Friday morning. He then met the Israeli minister for military affairs, Avigdor Lieberman, and is scheduled to hold talks with Prime Minister Benjamin Netanyahu and President Reuven Rivlin. Mattis hopes to hear directly from Israeli leaders their concerns about regional issues, with Iran’s influence topping the list. The conflict in Syria, where the US and Israel seek to remove President Bashar al-Assad from power, is also on the agenda, according to the prime minister’s office. Israel was one of the first US allies to salute President Donald Trump for a recent missile strike on a Syrian airbase, where they alleged a suspected chemical attack originated. Speaking during a press conference with Lieberman on Friday, Mattis said there can be “no doubt” that Syria has retained some chemical weapons and warned President Assad not to use them. “There can be no doubt in the international community’s mind that Syria has retained chemical weapons in violation of its agreement and its statement that it had removed them all. There is no longer any doubt,” he said. The US, Israel and Saudi Arabia have been pushing to overthrow the Syrian government through the use of proxy militant forces in the country. Iran has been lending advisory support to Syria in its battle against the foreign-backed militants, but has avoided direct military involvement in the conflict. While in Riyadh on Wednesday, the Pentagon chief reiterated the Trump administration’s position that Iran seeks to “destabilize” the region. US-Israeli ties reached a low point over the 2015 nuclear agreement between Iran and world powers, including the United States. Former President Barack Obama pushed for the agreement, to the dismay of Netanyahu who argued it would only strengthen Iran in the region. In his latest criticism on Thursday, Trump blasted the deal as “a terrible agreement” that “shouldn’t have been signed,” and accused Iran of “not living up” to its spirit. 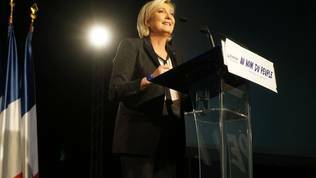 PARIS – The office of French far-right National Front presidential candidate Marine Le Pen is saddened that the United States appears to continue its interventionist policies under President Donald Trump and hopes that this will not stoke tensions around the world, the candidate’s campaign manager David Rachline told Sputnik. “A hope for the end of the American interventionism after Trump’s victory seems to be weakened. 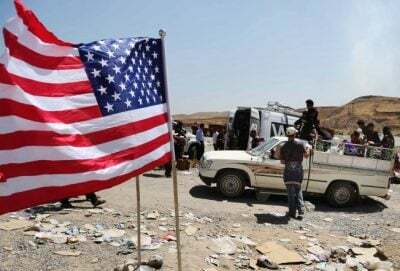 It is deeply sad and damaging for peace and stability in the world, and we hope that what seems to be the considerations of the US domestic policy won’t be a factor of increased tensions in the world,” Rachline said commenting on the recent US strikes on an airfield in Syria. On April 6, the United States launched 59 Tomahawk cruise missiles at the military airfield in Ash Sha’irat. Trump said that the attack was a response to the alleged chemical weapons use in Syria’s Idlib province on Tuesday, which resulted in the death of over 80 people. Damascus denied the government’s involvement, with Syrian President Bashar Assad telling Sputnik that the attack in Idlib may have been “a false flag play” to justify the airstrike. 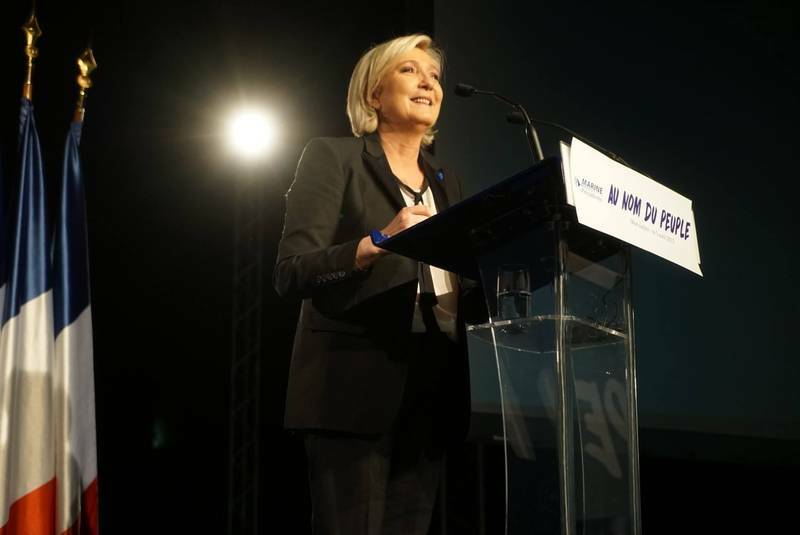 Le Pen herself condemned April 6 strike the next day after it was carried out and three days later urged Trump to be cautious in Syria, as military intervention in both Iraq and Libya ended up bringing danger rather than peace to civilians. Theresa May’s Conservative Party has launched its general election bid with a fresh scaremongering campaign, arguing that unless Tories prevail, Vladimir Putin will win. Russian President Vladimir Putin has already become a prominent figure in Britain’s upcoming general election, having been dragged into the pre-election debate by the Tories. 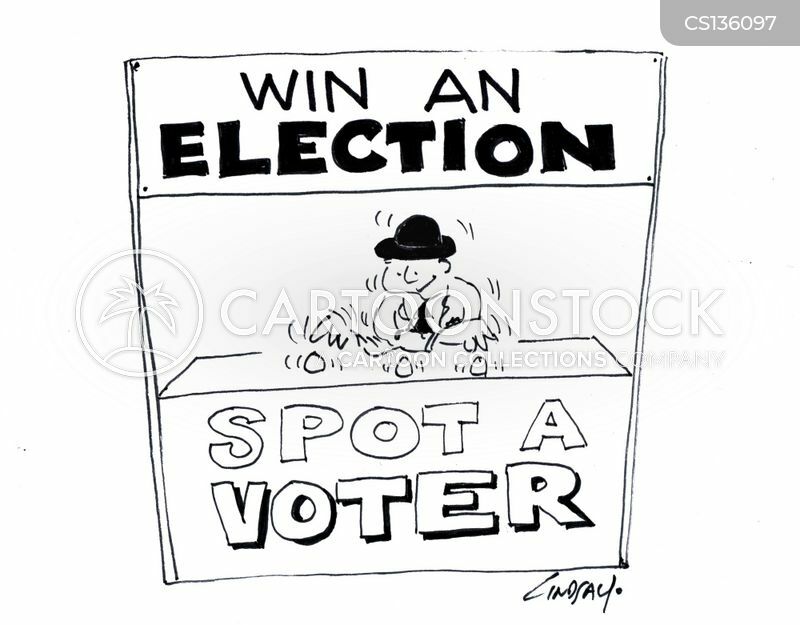 Facing widespread public criticism for not having a clear Brexit strategy and constantly implementing austerity measures, the Conservative Party has resorted to the now globally-tested method of using Vladimir Putin as a bogeyman to win more votes. Earlier this week, British Defense Secretary Michael Fallon said Russia’s president would welcome a Labour Party victory. Speaking at an event to mark the deployment of 800 British troops in Estonia as part of a NATO mission in the region, Fallon claimed that a “feeble and gutless” Corbyn plays into the hands of Moscow. “Russia will be watching that, will have noted that feebleness and will be watching it throughout this campaign,” the Defence Secretary said. This rhetoric echoes an accusation made by Tory Armed Forces Minister Mike Penning, who claimed that Corbyn was in some way collaborating with the Russian government. “The Labour leader would rather collaborate with Russian aggression than mutually support Britain’s NATO allies,” Penning said, referring to Labour’s concerns that further NATO deployment on Russia’s borders could escalate tensions. In addition to accusing the main opposition leader of being in bed with the Kremlin, the Tories also warn that Vladimir Putin could try to hack the British elections in order to prevent the Conservative Party from winning. For instance, Fallon made the unsubstantiated suggestion that Russian intelligence services will try to influence the upcoming elections through hacking, while at the same time assuring that the British security agencies are fully prepared for any cyberattacks. “We took steps before the 2015 election to protect our systems against Russian interference, including our democratic systems. “Those protections remain in place and we will obviously be watching for any of the kind of interference we have seen in continental elections and is alleged to have taken place in the American election but we are well protected,” Fallon said. GCHQ, Britain’s cyber-intelligence agency, which is subordinate to Tory Foreign Minister Boris Johnson, made a show of going on high alert less than 24 hours after Theresa May announced the upcoming general election to fend off Russian cyberattacks. “It is understood that GCHQ and the National Cyber Security Centre will be working with the Cabinet Office to deliver a safe election so the same thing does not happen here as happened in America,” a Whitehall source told the Times, referring to allegations that Russia had hacked the 2016 US elections to aid Donald Trump. However, the report by the US intelligence community said that, even if the alleged Russian involvement had taken place, it could not make judgment as to whether it had affected the outcome of the American presidential elections. Unsuccessful Democratic presidential candidate Hillary Clinton claimed that Vladimir Putin has a personal “personal beef” against her, and thus ordered a cyber-attack on her election campaign. Richard Ferrand, the campaign manager for Emmanuel Macron, a liberal candidate in France’s presidential election, has also argued that Putin is hacking his boss’s campaign. “These attacks are coming from the Russian border,” Ferrand said. “We want a strong Europe. That’s why we’re subject to attacks on our information system from the Russian state,” he said. It’s already clear that the British general elections will not be exempt from the same anti-Russian scaremongering rhetoric, which critics say is an attempt to divert attention from the real issues. The Palestinian Center for Human Rights (PCHR) is strongly concerned over the life of hundreds of Palestinian prisoners, who have started a hunger strike for 10 days in the Nazi camp in protest against the deterioration of their living conditions and deprivation of their most basic human rights. PCHR emphasizes that Israeli forces should be fully held responsible for the deterioration of prisoners’ conditions in light of the stubbornness of the Nazi Prison Service (IPS) to meet their humane demands, which the Service confront by escalating measures against the prisoners. Those arbitrary measures included prisoners’ transferals between prisons to break their will and pressurize them to end their strike. PCHR calls upon the international community to pressurize the Nazi forces and intervene to end the suffering of thousands of prisoners in the Nazi camp and to bring into account those responsible for the crimes against prisoners. Around 1500 Palestinian prisoners in the Nazi camp launched an open hunger strike on 17 April, which coincides with the Palestinian Prisoner Day, to demand their most basic human rights and return what has been confiscated by the IPS during the past years. Among these demands are: allowing first and second degree relatives to visit them; ending the policy of medical negligence and conducting periodic examinations; conducting urgent medical operations; entering specialised doctors from outside the prison; ending solitary confinement and administrative detention policies; allowing them to take the Twjihi (Secondary School) exams and join universities; and stopping arbitrary measures against female prisoners. It is expected that more prisoners will successively join the hunger strike. In contrast, the IPS imposed collective punishments on hunger strikers to discourage them from practicing their right to strike as a tool for exerting pressure on the Nazi authorities to improve prisoners’ living conditions. The IPS launched a campaign of prisoner transferals on the second day of the strike in an attempt to undermine their efforts. Thus, the IPS isolated those leading the strike, including PLC Member Marwan Barghouthi, whose health status deteriorated, and Karim Younis. Furthermore, the IPS deprived the prisoners of family visits, beak and canteen in addition to preventing them from performing Friday prayers, and washing their clothes. It should be noted that water and salt were also confiscated from the cells and prisons, so the prisoners were forced to use the tap water. The figures and statistics available at PCHR indicate that around 6500 Palestinian prisoners are detained in 22 prisons and detention facilities, most of which are established in the Nazi regime, constituting a flagrant violation of the Fourth Geneva Convention, particularly Article (76), which obliges the occupying power to detain prisoners from the occupied population in the occupied territories until the end of their sentences. Most of those prisoners are residents of the West Bank, including 57 women and 300 children. Moreover, the number of sick prisoners is about 1800 prisoners, including 180 prisoners who suffer from serious diseases in addition to 26 others who have cancer. Warns the Zionist doctors of attempting to forcibly feed the prisoners on hunger strike, emphasizing that PCHR will prosecute them as war criminals in case they did that. On Tuesday morning, 25 April 2017, the Ministry of Interior in Gaza pronounced a detained person (M. B.) (43), from Khan Yunis, dead in Deir al-Balah detention facility. The Palestinian Center for Human Rights (PCHR) demands the Attorney General himself to follow up the investigation and publish its results. Preliminary indications show that the death circumstances were not normal. Moreover, PCHR calls upon the Ministry of Interior, Attorney General and Palestinian Legislative Council (PLC) members to take a serious action to reform detention facilities in conformity with the relevant international standards. PCHR believes that the Ministry of Interior’s statement was brief and does not commensurate with the importance of the case. Besides, the statement is paradoxical in a manner, raising many questions. Finding traces of a rope on the neck of the deceased and finding him dead in the place where he used to sleep show the death was likely not normal and negates the possibility of committing suicide. It is further unreasonable that a crime whether suicide or something else had been committed in a detention cell and the inmates in the same room had no idea about it. This contradicts with the part of the story that his inmates found him dead when they tried to wake him up according to the Ministry of Interior’s narrative. Based on PCHR’s follow-up and after pronouncing the detained person dead, dozens of his outraged family members went out into the streets in Khan Yunis yesterday, closed some shops in the city market and damaged some cars. After mediations between the family and Ministry of Interior, the family agreed to take and burry the body and to wait for the investigation results. Data available at PCHR indicates that the 6 inmates in the same cell have been interrogated about the incident. The family refused yesterday to take the corpse. According to the statement given by the deceased’s uncle (65) to PCHR yesterday, the family received a phone call from the police, informing them their son had died. The uncle added that a group from the family headed to Dair al-Balah police station, where the police officer in charge told them there were traces of a rope on the deceased’s neck, so the corpse was taken to the forensic department in Gaza, waiting for the results. The uncle explained that his nephew was detained in a cell for hepatitis patients and they learnt about his death at 08:00 during the daily inmates count according to the prison director. He added that the family refused to take the corpse, which was in al-Aqsa Hospital in Deir al-Balah, until the death circumstances and forensic examination results are revealed. PCHR believes that conflict between the statements of the prison director and the Ministry of Interior’ spokesperson regarding the death circumstances raises questions and requires an intervention by the higher competent authorities to unveil the truth. PCHR is concerned as this is not the first case of its kind. A number of detainees previously died in similar circumstances or due to heart attacks in detention facilities throughout the Gaza Strip in the past years. PCHR highlights that life of a detained person falls within the responsibilities of the Ministry of Interior’s Prison Service according to the Law of Reform and Rehabilitation Centers 6/1998. Article 7 of the Law stipulates, “…Inmates in any prison remain under the legal guardianship of the prison director….” Thus, PCHR calls for taking in consideration negligence that probably led to the death or crime during investigation. PCHR stresses the responsibility of the competent authorities like the PLC members, Attorney General and judges to supervise the lawfulness and circumstances of detention according to article 70 of the Judicial Authority Law 1/2002 that grants the Attorney General and judges the right to supervise and inspect the conditions, wellness and lawfulness of detention. Marine Le Pen was supposed to be the anti-systemic player who gathers the anti-establishment protest vote, just like Geert Wilders was supposed to be in The Netherlands. Both of them, however, have been in politics long enough to expose the lack of substance in their platforms and leave some large space for new outsiders. In France this turned out to be Emmanuel Macron, who managed a positive rebellion against the system, finishing first in the first leg of the April 23 presidential elections with 24.01% of the votes without being a part of the political status quo. Closely following him is Marine Le Pen with 21.30% of the votes. There are several conclusions to be drawn from the France presidential elections: the answer to voter’s problems is not necessarily a leader, party, or ideology, which destroys; it is difficult for euroscepticism to win in inherently pro-European states; traditional parties in some states have lost their raison d’être; populism is losing steam. Of all electoral challenges in the last year, the elections in France and Germany are the most important ones, because the European idea itself was created by these two countries, called the EU twin engine. The European referendum in the UK was shattering, but it did not pose a serious tectonic risk to the European Union. After all, the Union was born without the UK, so it is not unthinkable to continue living without it. There are even signs that Britain’s exit is having a healing and strengthening effect on the community. The EU can live without countries like Hungary, Bulgaria, even without Poland. It can swallow political cataclysms in countries such as The Netherlands or elsewhere, but a political revolution in France would disturb the balance in the Union, and therefore challenge its very existence. During the government of Socialist François Hollande France lost a considerable amount of influence at the European scene. It became clear the very day he came to power, that there will no longer be the same symbiosis between Berlin and Paris like during the time of the Mercozy team, when German Chancellor Angela Merkel and French President Nikolas Sarkozy (both of them belonging to the same European political family – the EPP) set the agenda of the Union, especially in the difficult period of finding a solution to the euro area crisis. The two of them even established a tradition of giving joint press conferences following EU summits. With Hollande in the Élysée Palace the natural successor, Merkollande, did not happen. Despite that, in difficult times for the EU Mrs Merkel and Mr Hollande managed to get close enough to send an important message, which was the case of their joint appearance in the European Parliament, when the two of them spoke against the destructive power of euroscepticism and populism. This did not help France one bit in standing side by side with the powerful Germany. Frustration against the indecisiveness of the French president to carry out long-postponed reforms was growing every single day throughout the EU, but mostly in Berlin, where the government was nervous about France’s excessively high public debt, poor growth, and the constant need to make concessions on the rules agreed on after many sleepless European nights, that were not done for other countries. France is in the macroeconomic imbalances procedure almost from the very beginning of the reform of economic governance in the EU. Moreover, for another year, it is in the group with the worst economic imbalances, where it is keeping company with Bulgaria, Croatia, Italy, Portugal and Cyprus. According to this year’s report of the European Commission on the macroeconomic imbalances procedure, France has a slow productivity growth, high public debt, and low competitiveness. Unemployment has started to decline compared to its peak of 10.4% in 2015, down to 10% in 2016, but long-term unemployment continues to grow, contrasting with the general tendencies in the EU. Unemployment among the young and low qualified continues to be high and has reached a share of 44.2% of total unemployment in the third quarter of 2016. According to the EC’s winter forecast, France’s economy is expected to grow by 1.4% this year and 1.7% next year. The business environment in France is also not in an enviable position compared to major competitors. The regulatory burden continues to be very high, the tax burden is also among the highest in the EU. The implementation of the EC’s country-specific recommendations of last year is rather unsatisfactory. Significant progress has been made in the reform of labour law (owed to Emmanuel Macron). No progress has been made in reforming the unemployment benefit system. Minor progress is being made to improve the vocational education and training system. The barriers in the service sector and the improvement of administrative, accounting and fiscal rules for companies are somewhat removed. Not much has been achieved regarding the reduction of taxes on production and corporate tax either. The EC expects France to increase the efficiency of public spending and taxes, reform the minimum wage and the unemployment benefits system, and improve the education system and the business environment. If the next president of France is Emmanuel Macron, he will have to deal with all these problems to bring France back to its place in the EU. If it is Marine Le Pen, France will not have to come back because there will be a debate about its exit. What was being offered on the French political market on April 23? Following the major crisis in the euro area, there have been serious shifts on the political scene in many EU countries. Traditional or rather moderate parties retained their power in those countries where a quick solution to economic hardships was found. Ireland, which went through a short bailout programme, never managed to create an environment for populist and Eurosceptic parties; the Baltic States also managed to protect themselves from the populist epidemic, thanks to rapid and successful reforms, even before the 2009 crisis; in Spain, although an extreme left-wing populist movement has emerged, the traditional People’s Party of Prime Minister Mariano Rajoy is again in power; in Germany, Angela Merkel continues to enjoy significant electoral support and the emergence of a new strong player on the left (but on the traditional political platform of the Social Democratic Party) represented by former European Parliament boss Martin Schulz, led to a shrinking electoral support for the populist and eurosceptic party Alternative for Germany (AfD). Some traditional parties have won in the moderately eurosceptic Netherlands, but others are virtually on the brink of extinction. In the states where there were no guts for reforms and the economy still has problems, populism managed to make its way to the very top. In Italy, the anti-systemic party of comedian Beppe Grillo is in the lead in the polls. 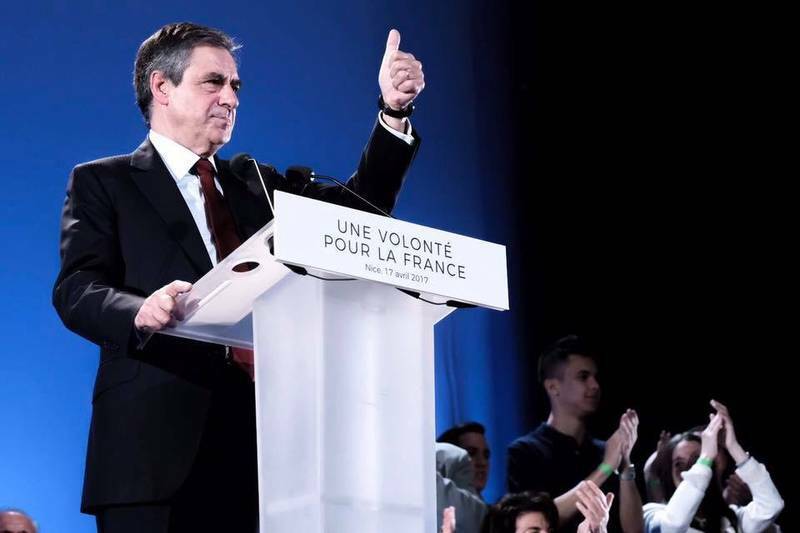 At these French elections, there was a choice offering of all that could be found on the European market – from the extreme left-wing to the ultra-right-wing. The four major competitors, who finished with very close results, are representative of all political fractions in the EU at the moment. Marine Le Pen’s National Front is the equivalent of the United Kingdom Independence Party (UKIP), led until recently by MEP Nigel Farage, to whom destroying the EU turned into a life’s mission. Le Pen’s language is very close to the one of the American President Donald Trump. In addition, she no longer hides her close relationship and financial dependence on Russian President Vladimir Putin. 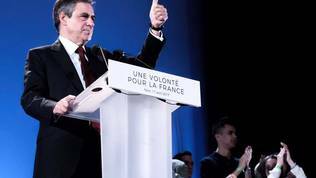 The traditional political right’s candidate François Fillon ranked third on Sunday with 19.9% support. He is the equivalent of Viktor Orbán – conservative, with a favourable regard for Russia, eurosceptic to the same degree as the Hungarian prime minister. He almost dropped out from the race, for reasons of being entangled in corruption and other scandals. At this background, EPP’s support sounded rather awkward – again support for a leader with questionable reputation and a eurosceptic profile. 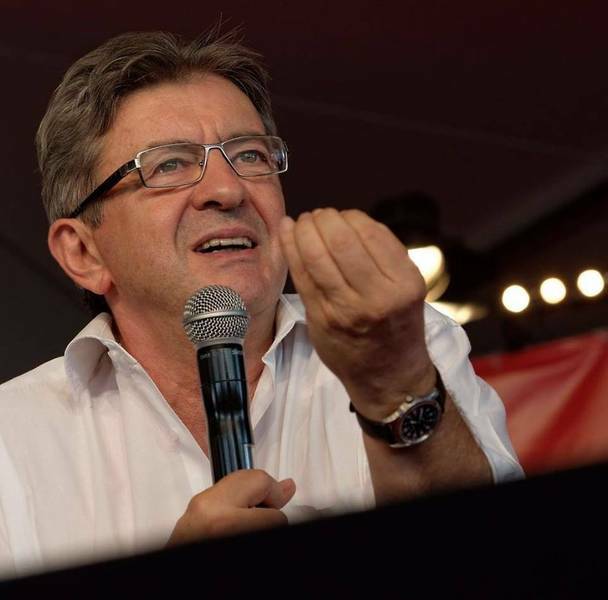 Very close behind him – 19.6% – finished the fourth competitor in the race Jean-Luc Mélenchon. He is the mirror image of the Greek SYRIZA of Prime Minister Alexis Tsipras. A tone difference, which is more due to circumstances, rather than differences in views, is that Mr Mélenchon is also strongly eurosceptic like Marine Le Pen. Against this background, Emmanuel Macron’s result is a real surprise. 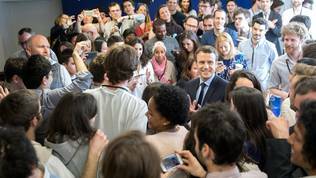 The 39-year-old liberal rose to the French political scene after being promoted by François Hollande, who will be remembered in French and certainly in European history with his incredibly low 4% rating. Macron was appointed minister of economy in Mr Hollande’s government, where he tried to launch some of the hardest and longest-postponed labour market reforms, which the EC has been pushing for years in its European semester reports. Once faced with a political wall, Macron decided to go on his own. He founded the En marche! movement a year ago and decided to stand alone in the presidential election. 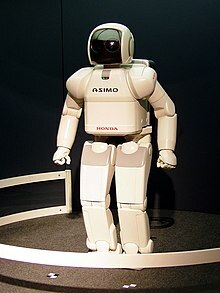 Despite his short stay in government, he is in fact a new face, which does not appear with new ideas, however. Quite to the contrary. The Macron programme contains well-known pro-European and liberal views for open market, fiscal discipline, deepening of euro area integration, openness to migrants. Unlike Marine Le Pen, Emmanuel Macron has bet on the positive campaign. For the second round, he will be supported by most of the other political forces for the sole purpose of Le Pen not winning. 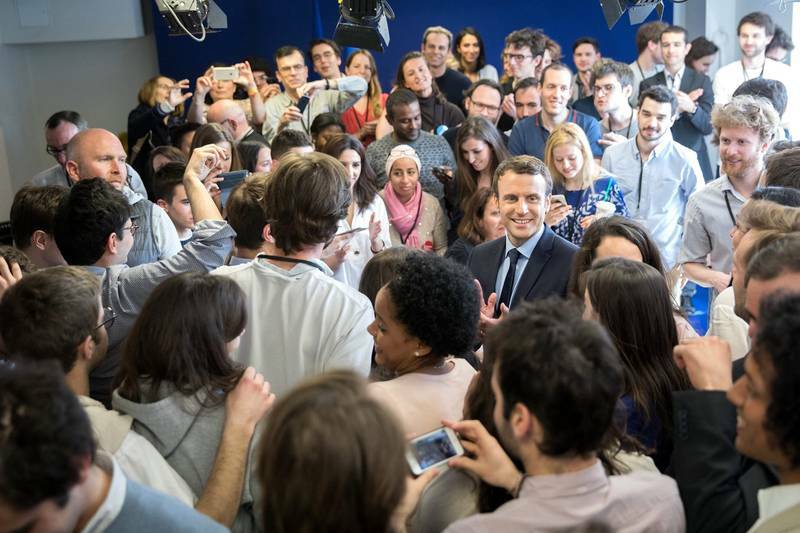 Part of the explanation for Macron’s victory is that there is already a lot of information accumulated about populist and Eurosceptic movements after the series of elections in Europe and the United States. Nearly a year after the European referendum in the UK, it is already clear that the exit from the EU of a very poorly integrated member state is an extremely complex, labour-intensive and, above all, expensive task. The intelligent voter can imagine what the exit of one of the most integrated member states, who is co-author of the European project, would mean. Those struggling to leave have not yet presented the exit cost to voters, but looking at the other side of the English Channel, it can be predicted what France’s future outside the euro area and the EU would look like, with its current economic performance. 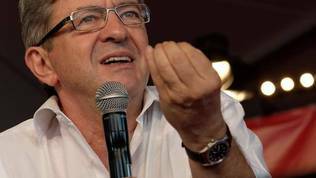 Despite him receiving considerable support, many Frenchmen did not identify Jean-Luc Mélenchon with salvation. The SYRIZA experience in Greece lends enough answers to the question of how realistic Communist ideologies of the 20-th century are in today’s globalised and digitalised world, especially when you depend on the solidarity of the rest of the members of the club you are a part of. Regarding François Fillon, his recipes are already being implemented in Hungary and Poland and this brings them nothing good at this stage. Polls before the first round as well as the ones now suggest a convincing victory for Emmanuel Macron. Currently his lead on Marine Le Pen is 20% (+/-). According to French election history connoisseurs, the Le Pen family always fails at the second decisive round. Now it is different, however, and the stakes are much higher. Elections in France, as well as elsewhere, were subject to outside interference. It is part of Russia’s foreign policy to fight for the destabilisation of the European Union from the inside, so it supports ideologically or financially parties, which are fighting for exit from the EU. Marine Le Pen even made a demonstration of meeting Vladimir Putin in the Kremlin a little prior to the elections. Besides, French-language Russian media, owned by the Kremlin, led a ferocious propaganda war against Emmanuel Macron. Support for Marine Le Pen was also extended by American President Donald Trump, who even during the election day allowed himself to send support Tweets. 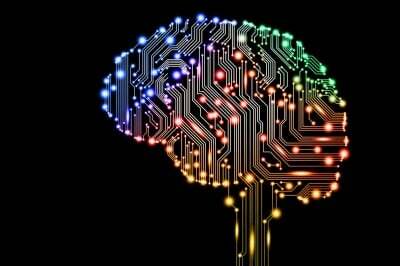 It is yet to be seen if outside interference will increase and to what degree can its influence significantly change current attitudes. Another unknown is the effect of the Paris terrorist attack right at the end of the campaign, responsibility for which was claimed by the terrorist organisation Islamic State. It is possible that this will remain a current subject for the second round as well. In the meantime, the EU is about to approve on April 29 its negotiation positions regarding the UK exit, which will additionally sober-up those, who trusted Le Pen because of other considerations, not because of her calls for leaving the EU. Should Emmanuel Macron win, it will just bring some short-lived joy, for there are parliamentary elections upcoming in June. It is not yet clear what sort of parliament will he have to work with. His success depends largely on this. The populist wave has revealed how interconnected member states are in the EU when elections are held in a systemically important country like France. Throughout Europe and around the world, everyone had their eyes fixed on France to see the outcome. The elections in France have shown something even more important as well – for the first time in 60 years there is no candidate from traditional parties in the second round. 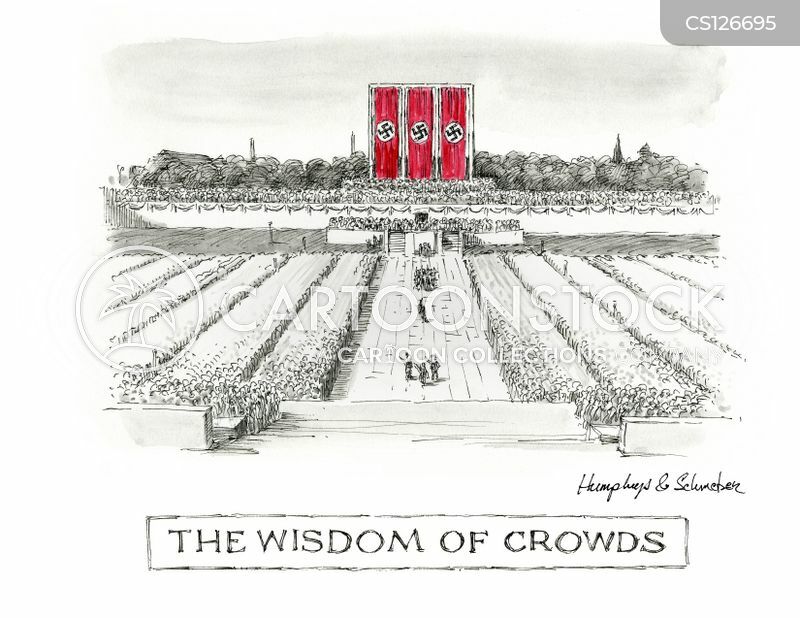 In this sense, the big European political families have to run a very serious diagnostic check, because the European elections (2019) are approaching, and they are no longer what they used to be – a dumping site for political waste or exile for the politically uncomfortable. There are more and more politicians with serious political intentions entering the European Parliament. It was namely there that the star of Nigel Farage arose, who, lacking any political influence whatsoever in his home country, managed to drive it to exiting the EU. The unknown until recently at the German political scene Martin Schulz also entered German politics on a ticket from the European Parliament and is now threatening Angela Merkel’s victory at the elections this coming autumn. In Croatia, government was ceased by some of the most influential Croatian MEPs. This means that the ballots for the European Parliament elections will be ordered very carefully and with long-term vision in mind. European political families are increasingly accumulating serious negatives because of tolerating national parties with a bad reputation or a frankly anti-European programme. This cannot continue forever, as it is obvious that voters are looking for solutions to specific problems, while instead they are often offered to choose between radical solutions such as leaving the EU or staying in, but with the same players. Thus, European political parties have to support their own members, which are part of the citizens’ problem. The danger of populism will not go away until traditional parties are upgraded and adapt to the realities of the 21st century. With tensions on the Korean Peninsula already on a knife-edge, the US has dispatched the nuclear-powered submarine, the USS Michigan to the region. The submarine, which is capable of launching up to 150 Tomahawk cruise missiles from more than 1,500 kilometres, is due in the South Korean port of Busan today. The arrival of the USS Michigan coincides with intense media speculation that North Korea will conduct a nuclear or ballistic missile test to mark its Military Foundation Day. The Trump administration has repeatedly declared that the US will use “all options” to prevent Pyongyang developing a nuclear-armed intercontinental ballistic missile (ICBM) capable of hitting the American mainland. At the same time, the nuclear aircraft carrier USS Carl Vinson, complete with its strike group of guided missile destroyers and cruiser, is headed toward waters off the Korean Peninsula. The Carl Vinson was last reported in the Philippine Sea where it rendezvoused with two Japanese destroyers and will meet up with South Korean warships as it heads north. The US and South Korean air forces are also currently involved in joint war games. The USS Ronald Reagan and its carrier strike group are based at the Japanese port of Yokosuka. Earlier this month, President Trump warned North Korea that the US was “sending an armada” to North East Asia. “We have submarines. Very powerful. Far more powerful than the aircraft carrier. That I can tell you,” he told Fox Business Network. US ambassador to the UN, Nikki Haley, warned that Washington would not ignore North Korea’s weapons’ testing saying: The United States is not looking for a fight so don’t give us a reason to have one.” She again called on China to put pressure on its ally North Korea to halt its nuclear and ballistic missile programs. The Chinese government is deeply concerned that the US could trigger a war on its doorstep and has been pushing for the resumption of negotiations with concessions both by the US and North Korea. “Only if all sides live up to their responsibilities and come together from different directions can the nuclear issue on the peninsula be resolved as quickly as possible,” Xi reportedly said. The Abe government has ramped up anxieties in Japan by issuing civil defence advice on how to respond in the event of a ballistic missile attack: to take shelter underground or in the nearest strong building. It previously suggested that plans were being drawn up for the evacuation of thousands of Japanese citizens from South Korea in the event of a conflict. 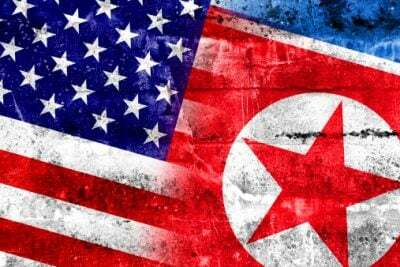 Backed by a compliant media, the US along with its allies continue to demonise the Pyongyang regime, branding it as a threat to the region and the world. While pressuring China, the Trump administration has also repeatedly declared that it is prepared to “solve” North Korea by itself. The State Department denounced North Korea in similar terms before issuing a thinly veiled warning. “We do not seek military conflict, nor do we seek to threaten North Korea. However, we will respond to threats to us or our allies accordingly,” a spokesperson declared. The Trump administration has deliberately ratcheted up tensions on the Korean Peninsula, threatening pre-emptive military strikes if Pyongyang proceeds to conduct a sixth nuclear test or further ballistic missile launches. In such conditions, a miscalculation or mistake could trigger a conflict that would rapidly spiral out of control and draw in nuclear-armed powers such as China and Russia. Continued support for the northwest insurgency amounts to effectively subsidizing a jihadist safe haven in the Levant. 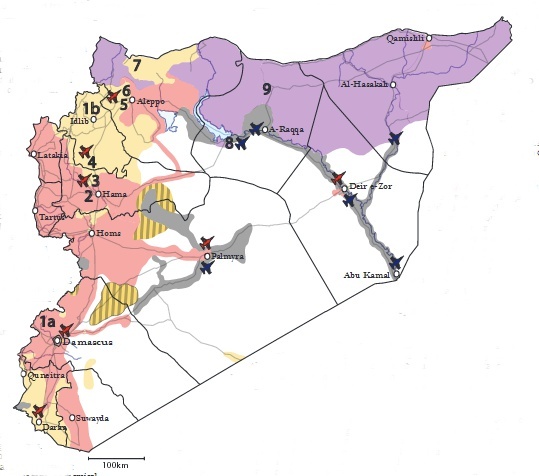 The proxy war against the Syrian regime in the northwest, for the West, is lost. Ayman al-Zawahri told the jihadis, who control Syria’s northwestern Idlib province and other territory, to remain steadfast and change tactics in order to wage guerrilla war. Al-Qaeda began fighting alongside Syria’s rebels early in the civil war and won allies among the opposition because of its military prowess. Al-Qaeda’s official branch, the Nusra Front, changed its name to the Fatah al-Sham Front and formally cut ties with al-Qaeda last year, but is still widely seen as being linked to the global terror network. In the south-west Israel is trying to steal another part of the Golan Heights by giving fire support for al-Qaeda groups which fight against the Syrian army in the area. Attacks by “moderate rebels” in the south, supported by the U.S. and Jordan, have failed to take ground in the city of Deraa. They need to take the city to have some anchor for an “independent” southern “safe zone” from which the U.S. proxies could then threaten Damascus. At the begin of April Kurdish forces under U.S. command had loudly announced that they would soon attack Raqqa and take it from the Islamic State. But no attacks on Raqqa have been seen. The operation seems to be at a halt. ISIS forces are allegedly moving from Raqqa further east to Deir Ezzor. In south-east Syria U.S. supported “rebel” forces have moved from Jordan northward into the Syrian desert (not yet shown on the map above). They plan is to move further north towards Raqqa and to meet up with U.S. Kurdish proxy forces. This move would cut any land route from west-Syria to Deir Ezzor where a garrison of the Syrian army is protecting more than 100,000 civilians by holding out against ISIS forces. From Jordan the U.S. trained and supplied “rebels” are also moving east along the Iraqi-Syrian border. This will hinder Iraqi forces from moving into Syria and against ISIS in support the Syrian government forces in Deir Ezzor. 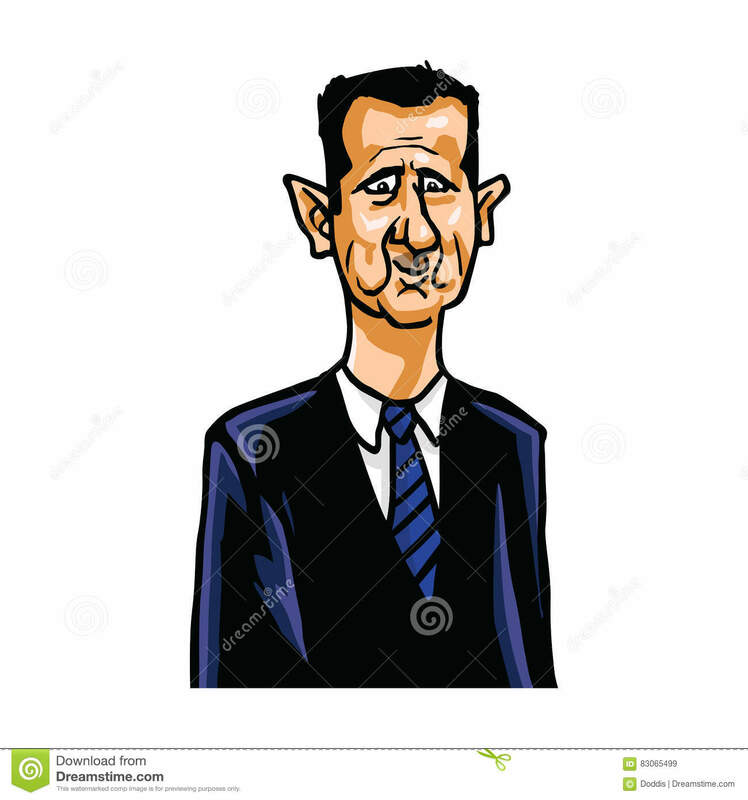 The whole Syrian east will thereby be cut off and under control of U.S. proxy forces. But what are the U.S. plans for this area? While the area has some oil and gas it is landlocked, lacks infrastructure and governance with mostly hostile forces surrounding it. The forces the U.S. supports are prone to infighting. It will be hard to defend the area against any serious attack. U.S. and Jordan forces will be needed to keep it under control. For how long? In recent days he‘s jumped right back into the public debate, nudging President Trump from the pages of the Wall Street Journal to follow up his bombing strike in neighboring Syria with more aggressive action—and, he tells me, privately emailing with Trump Defense Secretary Jim Mattis and national security advisor H.R. McMaster, both longtime contacts since his Bush days, in hopes they will pursue a U.S. strategy of stepped-up engagement in the Middle East. Mattis is currently traveling through the Gulf countries to collect money for future U.S. plans in Syria and elsewhere. The neocon senators John McCain and Lindsey Graham will tonight have a private dinner with Trump in the White House. No sensible strategy has ever come from these folks. But their lunatics plan always causes huge damage for little if any gain. Posted in USA, SyriaComments Off on Syria: U.S. Moves To Cut Off The East – But For What?